Another reason I should apologise is with this being a Leinster-centric blog, maybe I shouldn't try to be a ‘wise guy’ when we suffered a 15-point loss at home, but while of course I was hardly happy about it, there were both mitigating circumstances and a fair amount of positives from the match. Whatever we want to say about the standards we expect from the boys in blue regardless of the occasion, the facts of this match are clear - Glasgow needed the win, we didn't, and what's more, we had our minds on a bigger match next weekend while they will have their feet up. So in many ways the fact that we had four tries and a 6-point lead on the board by the 60 minute mark is a major positive - even though the result made no difference to our season, the lads clearly wanted to put in a good shift in front of a home crowd and there was much to savour in that time. Yet while what happened in the final twenty minutes was disappointing, to dwell on that would be a major disservice to Glasgow, who had a home semifinal to play for and did an amazing job of staying focused on that task at a time when many would have given up. The match stats tell a peculiar story - Leinster had 65% of possession and 57% of territory, yet none of the four tries came easily with the Warriors putting in a whopping 331 tackles (we made less than half that) with a 91% success rate. And for all my talk about brothers, the man of the match award went to Johnny Gray, who owned the tackling charts with 43 made and none missed. 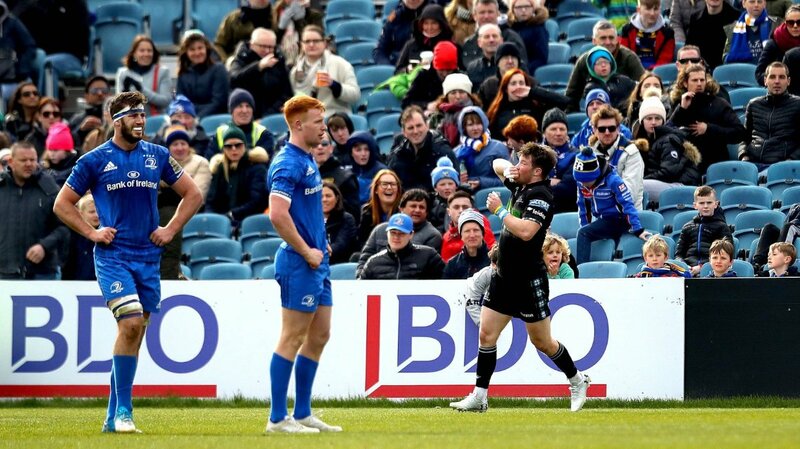 We Leinster fans will be hoping his older sibling Richie doesn't put in a similar display at the Aviva next Sunday. To be fair, the Warriors couldn't have reached that 300+ total with just their lock - Matt Fagerson had 33, Brown 28, Cummings and Hartley 27, Zander Fagerson 26, the list goes on. It was an effort that was worthy of victory regardless of where our heads were and you can be sure they'll be tough to beat in the playoffs, especially with the final itself in Glasgow. But going back to the Leinster side of things, my starting point has to be Joe Tomane. Whether it was the change of position to 13, a change of attitude, or a combination of both I'm not so sure, but this was by far and away his best performance since he arrived at the RDS. Although he ‘only’ made 9 tackles, many had a lot of push back in them and he forced a key turnover early in the second half. But it was his carrying that impressed most of all, busting gain lines pretty much every time and despite Henshaw's return to action the import was a frequent go-to option off set pieces. Last week I said he shouldn't be involved against the Top 14 leaders. Now I'm rethinking that, though in no more than a bench role. It was shortly after one of those ‘crash ball’ plays that we got our first try. During an early spell with Ross Byrne on the naughty step (easy call by ref Mitrea he clearly took Johnson early), we got ourselves a decent foothold in their 22 despite being a man down. Glasgow were already well on their way to the monster tackle tally but we did well ourselves to keep the ball and in the end it took Jamison Gibson-Park (who is good in these 5m attack situations and probably did enough to ensure involvement next Sunday) flinging a long pinpoint pass to Dave Kearney who dotted down. And with our goal kicker off the pitch it was actually Tomane who had a go at adding the extras and while his effort pulled wide of the upright it was a decent one in the windy conditions. Sadly shortly after Ross returned to the field he was called on to stop Sam Johnson yet the centre bounced off of him to score. The TMO had a look for obstruction at the breakdown but none was found. We gradually ground our way back up the field and after 31 phases we won a penalty and JGP chose to quick tap. It was as though we were determined not to regret that decision and despite being pushed back by the visitors a few times in the end it was Kearney The Elder touching down, albeit with the help of a bit of luck when a bobble fell perfectly for him under the posts. But that didn't stop Glasgow either and once more they came back strongly - Scott Cummings plucked the restart from the sky and in a sequence that seemed a mirror image of the Dave Kearney try, this time it was Adam Hastings providing the long ball and Tommy Seymour the finish. That made the score 12-18 at the break and we seemed to think our best chance of a strong showing in the third quarter was to spring our ‘elite’ front row of Healy, Cronin and Furlong directly from the bench. The call brought some good news, some bad. Ironically the first scrum of the half saw a huge shove from the Glasgow pack which won a penalty but a great leap from young Jack Dunne pinched the ensuing lineout back for us and having worked our way up the field and slogged through a whopping 33 phases this time, eventually Rob Kearney bagged his second score. For try number four he provided the final pass for his brother after a maul got us deep into the 22. By this stage it looked to all intents and purposes like it was a ‘routine’ Leinster 5-pointer in D4 but right from the moment Dave touched down, things started to go way wrong, and that's not even including Ross Byrne's missed conversion. 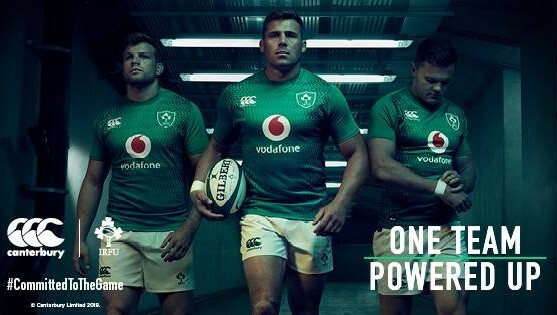 With Toulouse up next week all Leinster fans would be forgiven for showing extra concern towards the fitness of key players, and having returned from long term injury, the starts of both Robbie Henshaw and Devin Toner were probably to the forefront. But when Tadhg Furlong stayed down after a collision, our fears were still realised. At least he left the park under his own steam but there is no question he would be a big loss at the Aviva Stadium. Meanwhile, as he was being taken from the field Glasgow were plotting what to do with the penalty they had been awarded and it was used to maximum perfection with a kick to touch, a maul with all forwards and at least half of the backs, and a Matt Fagerson try. Then after Hogg pinned us back in our own 22, we recovered our own sloppy lineout but Hugh O’Sullivan, on for JGP, struggled with the wind on his exit clearance giving the visitors another attacking lineout. From this they mauled their way to our line again before Zander Fagerson ducked under three Leinster tacklers to extend their lead even further. It's not like we chucked in the towel, but an 8-point deficit at that stage (some great pressure placekicking from Hastings it must be said) was never going to be made up in the final six minutes. The final insult on top of our (albeit minor in the grand scheme of things) injury came as the clock went red when George Horne seemed to start his run last Thursday to intercept a pass in our 22 and stretch the margin to 15. So that was that. Glasgow got their bonus point win to put a home semifinal in their own hands (as one Munster fan pointed out on twitter, this was the one time our southern cousins actually wanted us to win!) and Leinster fans left the RDS Arena in something of a subdued mood. Basically my opinion on our lack of victories in this ‘midseason preseason’ is this : we have shown in the past that no matter what kind of form we bring into European matches, we can perform on the day. And if we prevail next Sunday, our recent results against Benetton and the two Scottish sides will instantly evaporate from our memories. Naturally the injury count will be a concern. Tadhg Furlong would be missed from any side on the continent so fingers, toes and eyes will be crossed. But there has also been good news floating around that Johnny Sexton will be available so I suppose it's the usual swings and roundabouts. Later this week we'll have the telly post on Thursday before we start looking ahead to the big Easter Egg-Chasing battle with Toulouse, with of course Front Five every morning. Do stay tuned!